A beautiful design is when you have a special colour combination I mean the colour harmony. 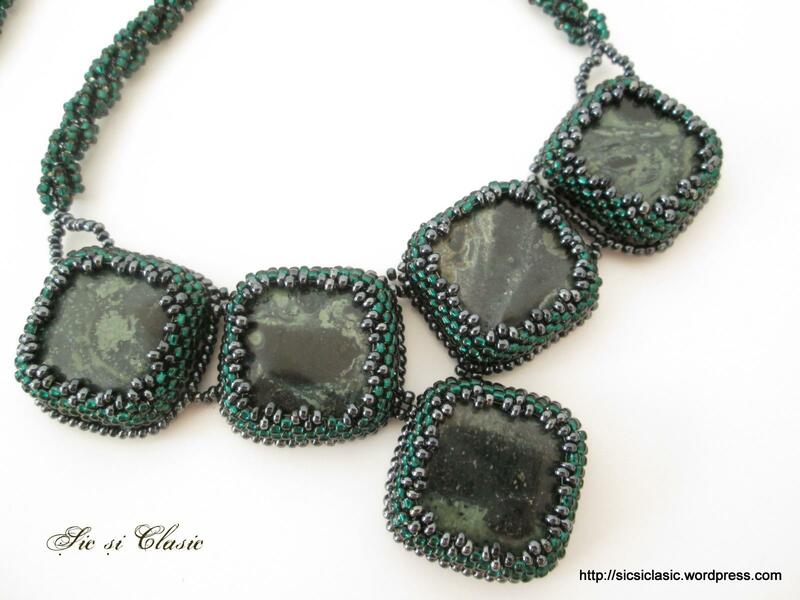 A joy of deep green with hematite grey seed beads that fit perfectly he green jasper stones, for on daily outfit. This is an order, she requested a bracelet and I came out with a necklace. What a surprise! … isn`t it ?! Cu multa vreme in urma cineva m-a intrebat de ce creez si realizez bijuterii, raspunsul meu e unul foarte simplu “pentr ca pot”. 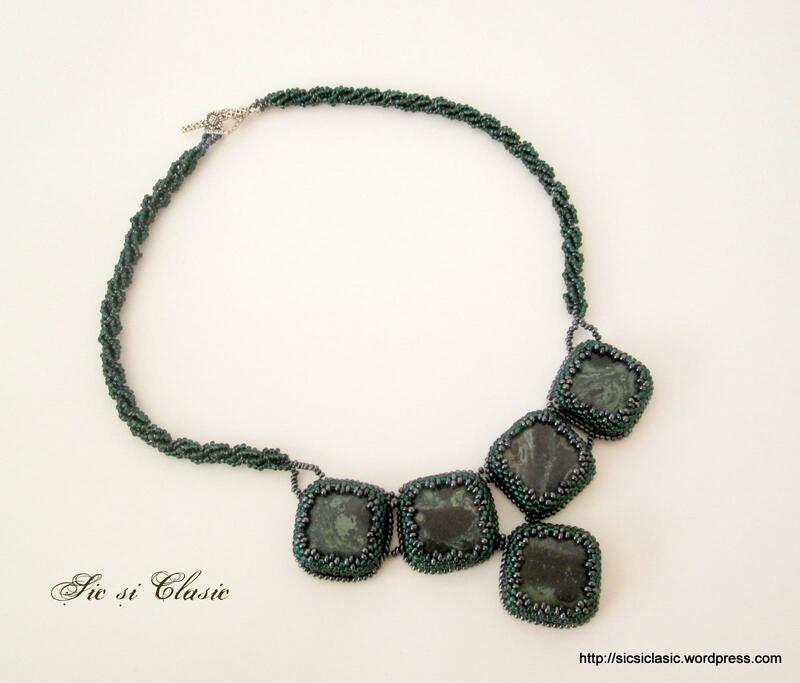 Adeline, you have an eye for fashion and jewelry, and I admire your passion and inspiration for gems. Your jewelry is beautiful and I think it is quite special that one of your creations can bring out the best in another person. Love your work. You should sell this on Etsy, have you heard about them? This would open the door to a greater scale of customers. Sorry to be intrusive, just giving you an idea.